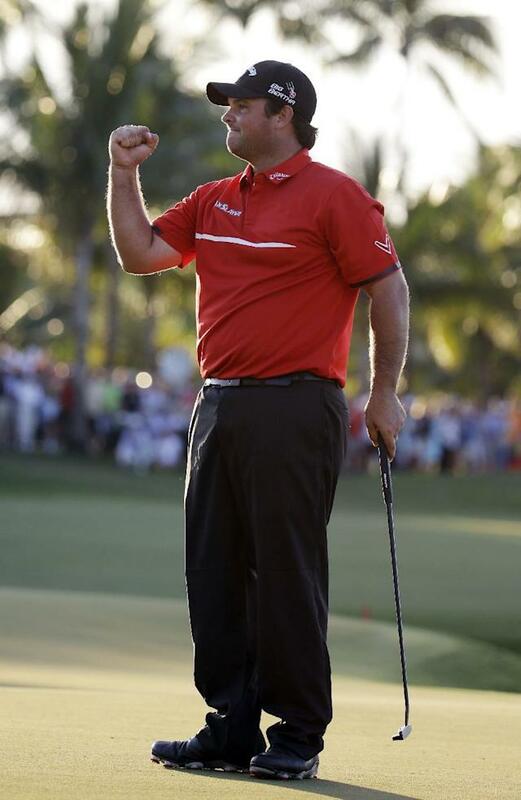 DORAL, Fla. (AP) — He wore black pants and a red shirt, his Sunday colors. He took a lead into the final round, quickly expanded it with a pair of birdies and then relied on his short game to keep everyone chasing him. He even played it safe off the 18th tee, caring more about the trophy than the final score. That script for years belonged to Tiger Woods. Patrick Reed followed it perfectly to win the Cadillac Championship, replacing Woods as the youngest winner of a World Golf Championship. 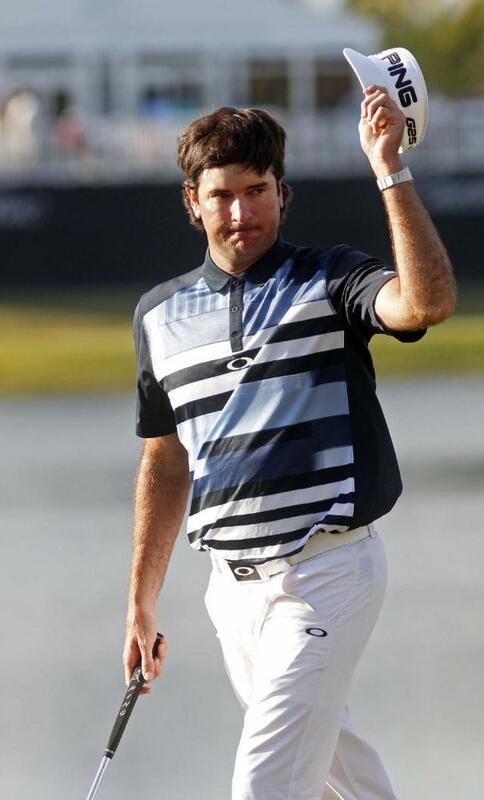 "The best player ever to live when I was growing up wore black pants, a red shirt," Reed said after closing with an even-par 72 for a one-shot victory at Doral. "I was growing up watching him. I always thought, 'You know, it would be cool to wear black and red coming down on Sunday. "Just happens to be that we both wear it on Sunday now." Only one of them stood out at the new Blue Monster. Even with Woods and his red shirt only three shots behind and in the group directly in front of him, the 23-year-old Reed stretched his lead to four shots at one point until making a pair of bogeys in the final hour. 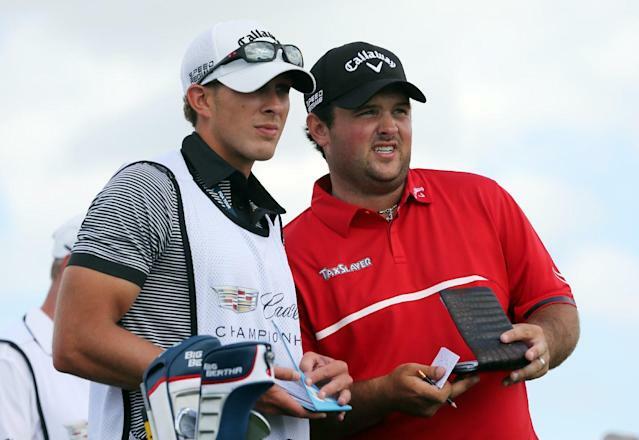 He held off Bubba Watson and Jamie Donaldson of Wales. Woods, in his best chance this year to win a tournament, said his back flared up after an awkward shot out of the bunker on the sixth hole. He failed to make a birdie in the final round for the first time in his PGA Tour career, and his 78 was his worst Sunday score ever. "Just let me get through this day, get some treatment and we'll assess it as time goes on," Woods said about his back. He withdrew from the Honda Classic after 13 holes of the final round last week because of back spasms. Reed has three wins in 14 starts and should move to No. 20 in the world. He feels his ranking should be even better. Reed cited an amateur career that includes going 6-0 in matches to lead Augusta State to two NCAA titles, followed by three PGA Tour wins in seven months. "I don't see a lot of guys that have done that besides Tiger Woods and the legends of the game," Reed said. "I believe in myself, especially with how hard I've worked. I'm one of the top five players in the world. I feel like I've proven myself." He joined some exclusive company. Since 1990, only Woods, Phil Mickelson, Rory McIlroy and Sergio Garcia had three PGA Tour wins before turning 24. This was not an accident, either. 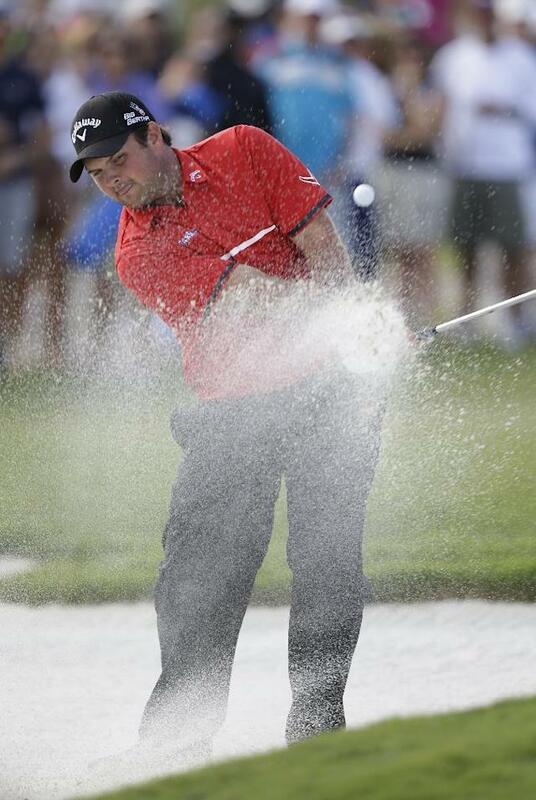 Reed has had a share of the lead going into the final round of all three of his victories — the Wyndham Championship last August, the Humana Challenge in January and a World Golf Championship at Doral that featured the strongest field so far this year. His last two wins were wire-to-wire, including ties. Watson, who won at Riviera three weeks ago, went bogey-free over the final 27 holes, a strong performance on the overhauled Trump National Doral. 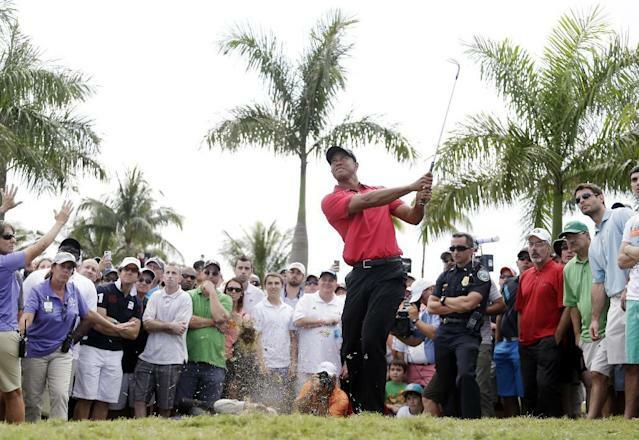 He closed with a 68, finishing with par after blasting through the palms, into the grandstand and back into the rough. Donaldson wasn't so fortunate. He hit into a foot on the 17th for his third birdie on the back nine to get within one shot of the lead. From the 18th fairway — after watching Miguel Angel Jimenez go through the green and into the water — he blocked his approach away from the flag and into the back bunker. Donaldson blasted out to just inside 15 feet and missed the par putt. He closed with a 70. 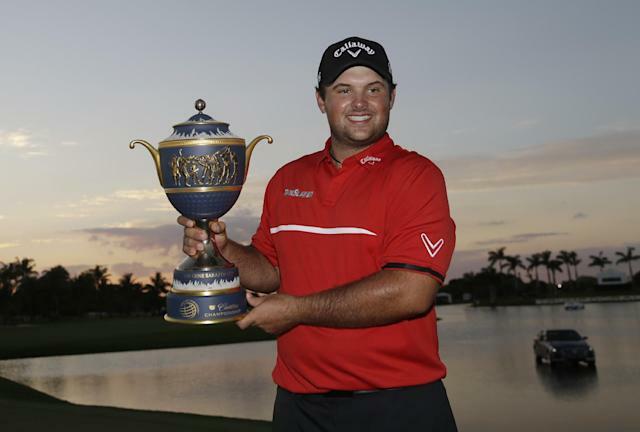 Reed finished at 4-under 284, matching the highest winning score at Doral. Mark McCumber won at 284 in 1985. He earned $1.53 million, pushing his season total over $3 million, and he moves to No. 3 in the Ryder Cup standings. Reed, Donaldson and Watson were the only players to finish under par. Woods raised more questions about his health — and his game — with the Masters just over a month away. 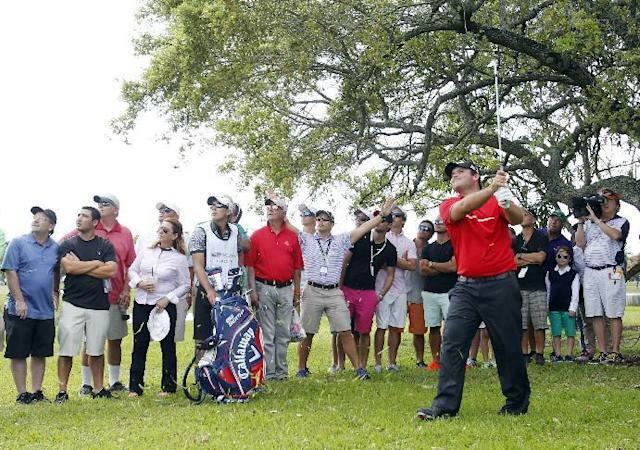 He beaned and bloodied a spectator on the opening hole and missed a 10-foot birdie putt. He beaned another spectator on No. 3, kicking the ball back into the fairway, only he followed that with a shot into the water and made bogey. Woods made two more bogeys over the next three holes and was an afterthought. 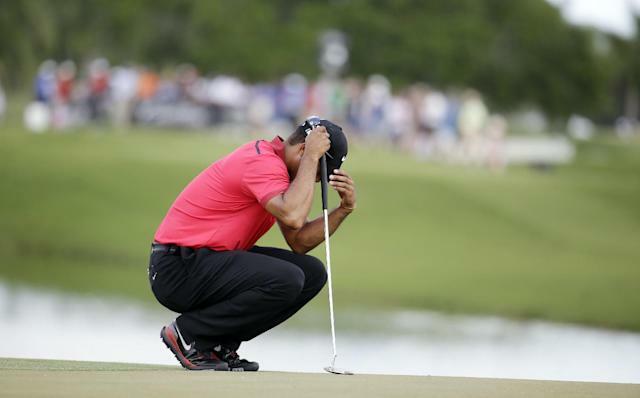 He said the pain intensified after his bunker shot on the sixth. Woods had his left foot in the sand and his right foot flexed against the lip of the bunker. Woods has played only four tournaments, and only twice went 72 holes. He missed the 54-hole cut at Torrey Pines, tied for 41st in Dubai and withdrew at the Honda Classic. He is scheduled to make only one more start — Bay Hill in two weeks — before Augusta National. The other guy in the red shirt and black pants played like he knew what was doing with the lead. 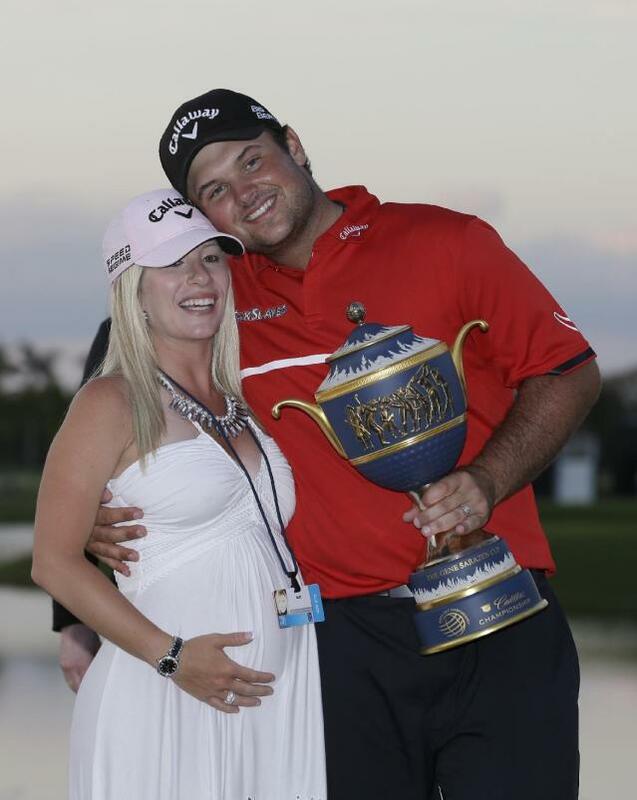 Reed left no doubt early that it would be his tournament to win. His two-shot lead dwindled to one after a bogey from the bunker on the second hole, and that was as close as it got until it no longer mattered. He knocked in a 25-foot birdie from the back of the green at No. 3, He holed an 18-foot birdie putt on the tough par-3 fourth. Jason Dufner, playing in the final group, went into the water on the fourth to begin his quick slide. 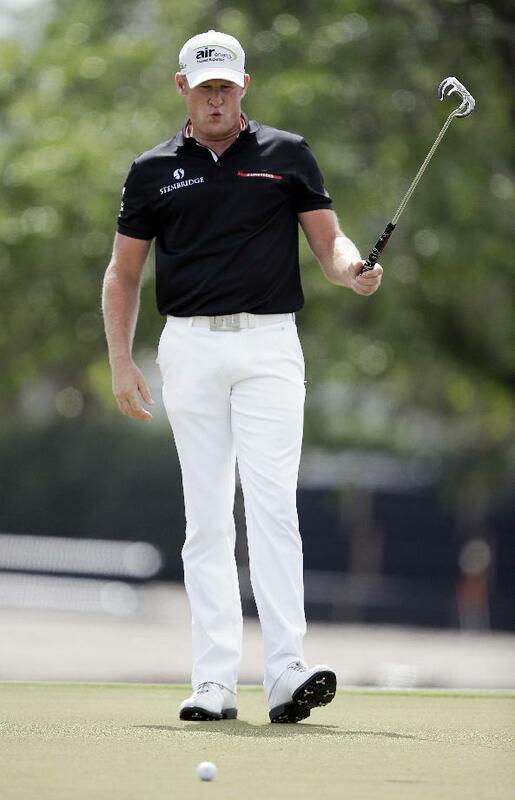 Reed made par on the next nine holes, and only in the final hour was the outcome ever in doubt. Reed saved par from the bunker on Nos. 11, 13 and 15. His only bogey came on a 3½-foot putt he missed at No. 14.